"Coconut and pineapple gives these cupcakes a tropical flavor. 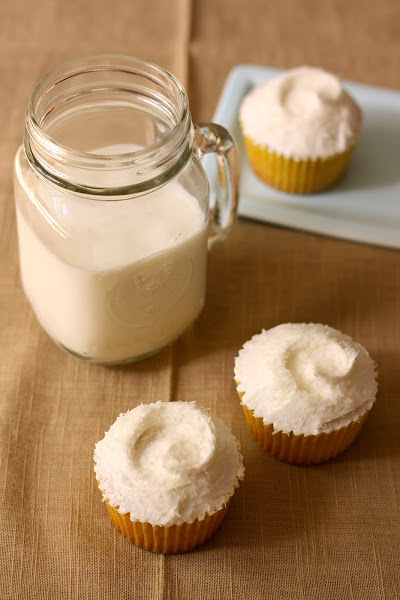 Grated fresh coconut can be used instead of desiccated coconut for an even better flavor." Preheat the oven to 375 (F) -- this is a 50 degree (F) increase from the recipe's original bake temperature of 325 (F). 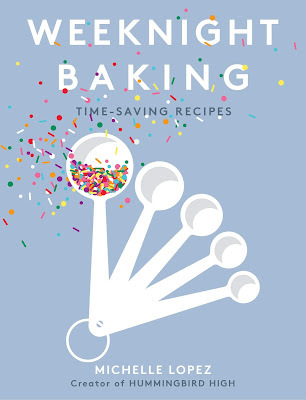 Put 1 cup flour, scant 3/4 cup sugar, 1 teaspoon baking powder, pinch of salt, and 3 tablespoons unsalted butter in a freestanding electric mixer with a paddle attachment (or use a handheld electric whisk) and beat on slow speed until you get a sandy consistency and everything is combined. Mix the 1 cup plus 1 tablespoon coconut milk and 1/2 teaspoon vanilla extract in a separate bowl, then beat into the flour mixture on medium speed until well combined. Beat 2 cups confectioner's sugar and 5 tablespoons unsalted butter together using a freestanding electric mixer with a paddle attachment (or, use a handheld whisk) on medium-slow speed until the mixture comes together and is well mixed. Turn the mixer down to a slower speed and slowly pour in 2 tablespoons coconut milk. 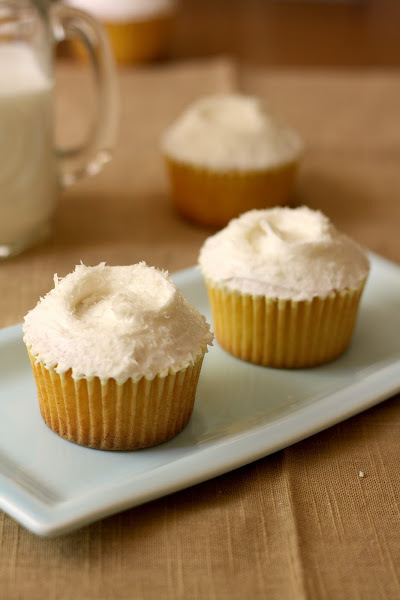 Once all the milk has been incorporated, turn the mixer up to high speed and continue beating until the frosting is very white, light, and fluffy. This should take at least 5 minutes. If pineapple's not your thing, feel free to leave it out! Pineapple's not my favorite fruit and I've made these cupcakes without the fruit without any problem. Simply omit the pineapple and follow the recipe as stated above. Coconut milk is available in the Asian section of most supermarkets. I used regular, canned coconut milk from an Asian brand. You can also use fresh coconut milk, which I've seen available at Whole Food's dairy section by the regular milk. After adding the coconut milk and eggs to the flour mixture, don't overbeat as this will overwork the flour and make the cake dense -- simply beat until the milk and eggs have just been incorporated. 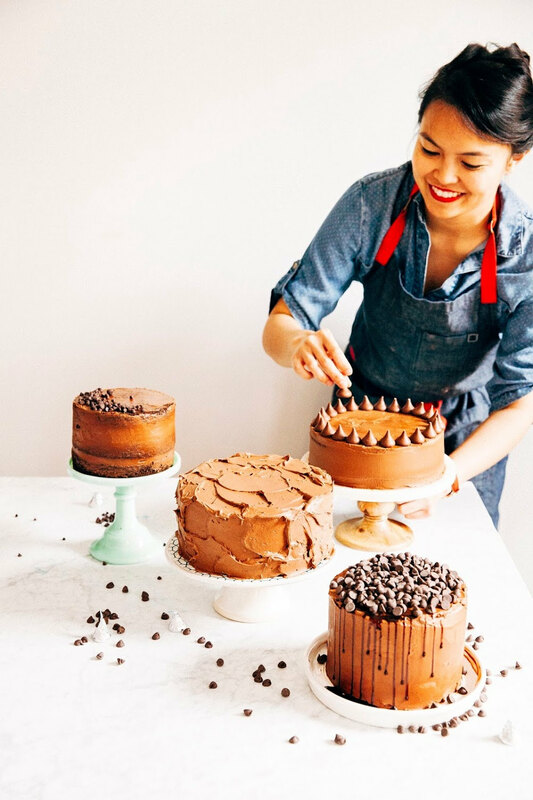 In my opinion, making sure you don't overbeat the batter is one of the hardest parts about baking. Make sure you add the pineapple pieces into the bottom of each cupcake case before spooning batter into them! If you add the pineapple pieces after you've already added the batter (that is, putting the pieces on top of the batter), the batter will not rise evenly and you will have deformed cupcakes. Do not put too many pineapple pieces in your cupcakes; doing so will result in slightly soggy, mushy cupcakes that easily smush in at the base. These cupcakes might need a longer baking time than other Hummingbird Bakery cupcake recipes posted in this blog. 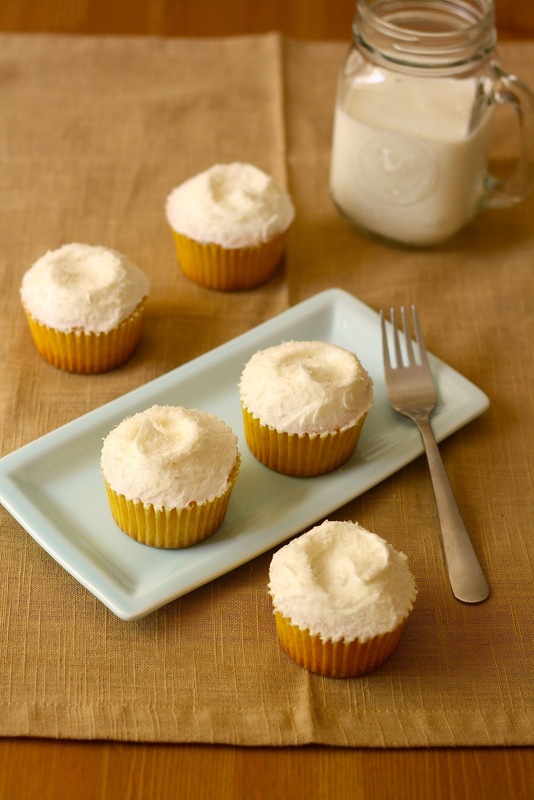 The pineapple in the recipe contains moisture which leaches out into the cupcake batter during the baking process -- this extra moisture requires more time to set in the oven. Try baking the cupcakes for 25-30 minutes if you run into this problem. 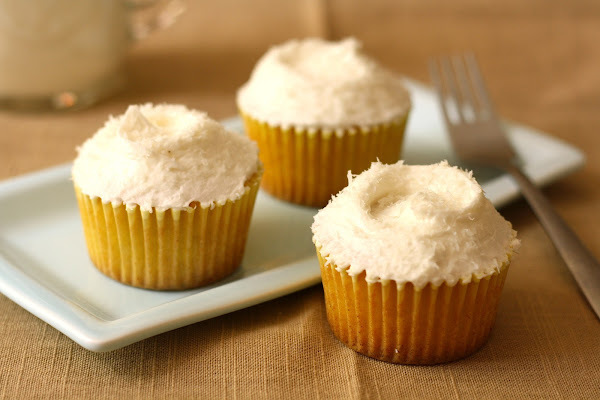 If your first batch of coconut-pineapple cupcakes resulted in burned pineapple pieces at the bottom of the cupcake, you can "sandwich" the pineapple pieces between batter. That is, first put one scoop of batter in each cupcake case, followed by pineapple pieces, followed by a second scoop of batter. The first scoop of batter will help prevent the pineapple pieces from burning. 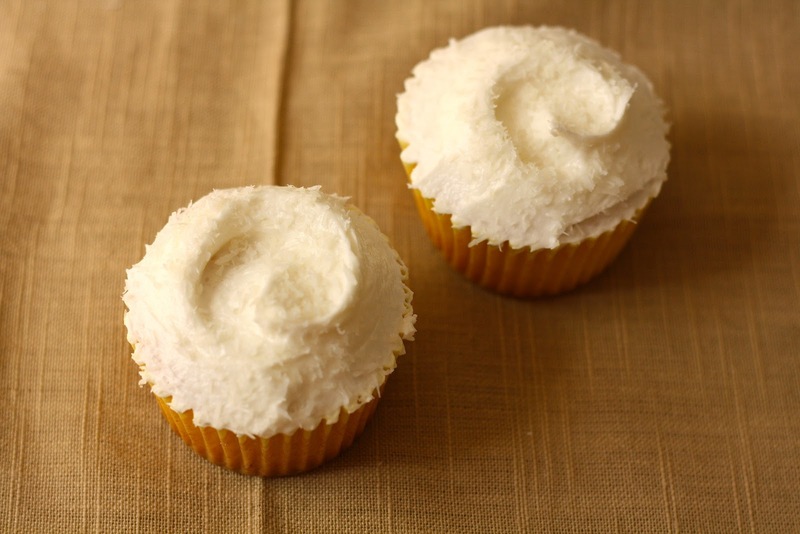 Specifically for the coconut buttercream frosting: the longer you beat the frosting, the fluffier and lighter it becomes. Hi Heather, thanks for reaching out! I love talking to other local bloggers/bakers about the challenges of baking at high-altitude. Feel free to email me at michellelo2009@gmail.com. Very pretty cupcakes. I love the texture of the tops of them. Hi Michelle, this cupcake recipe looks great. I wanted to try it out for a party we are having this Thursday. Could you please tell me what changes I would have to make to make it at sea-level? I am from India and at the moment its monsoons here with some humidity and heat in the air. Thanks so much for your help. will this work for a layer cake?